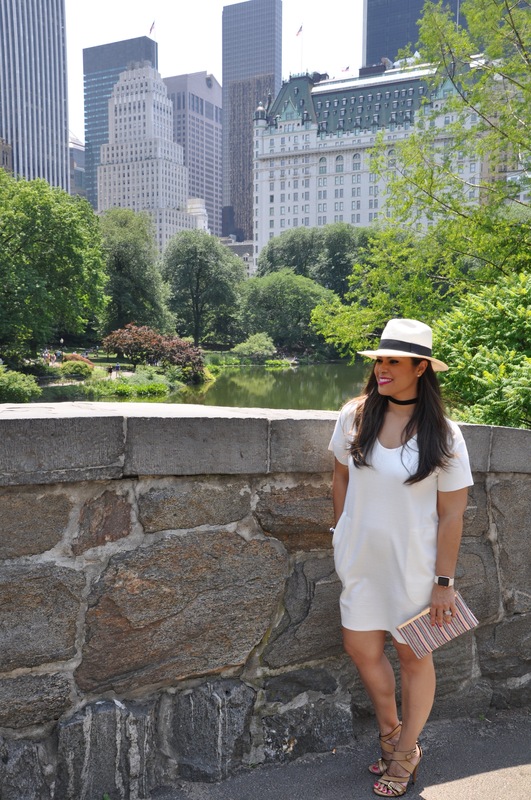 Today I went on a summer stroll through Central Park. This particular bridge is very special to me since its where my husband proposed to me. I remember like it was yesterday, and ten years later as I walk over this bridge, I’m reminded how much I love him. 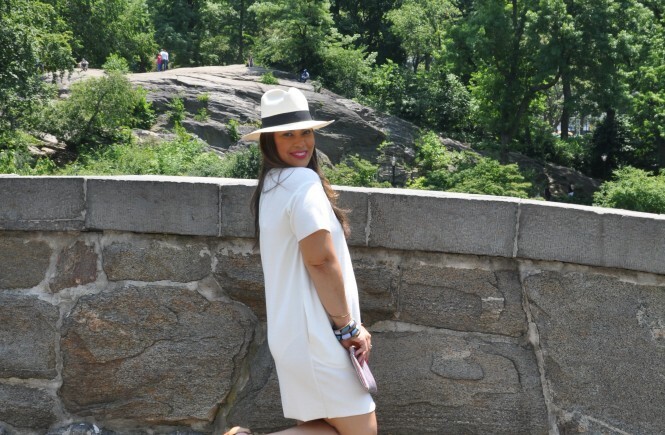 I wore a very comfortable white dress by Zara and my favorite Panama Hat. Fashion Stylist, Nitzalli (Nitzalli Ferreira) recommended this dress to me and I bought it immediately! She just started her instagram page, follow her…you won’t be disappointed! What I love about this dress, is its versatility. You can wear it with heels, your favorite flat sandals, or a pair of summer sneakers from my previous post. 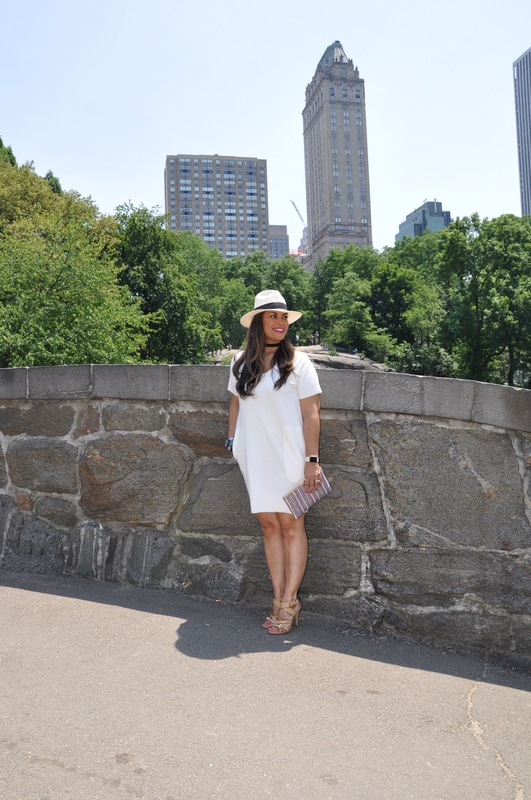 This dress is one of my favorite repeat outfits this summer. It’s sold out at Zara’s but I’ve given you a selection of similar looks below.